The SpidoLite II felt very at home in this high-tech environment. 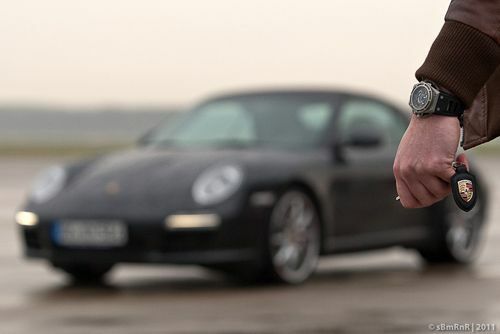 The industrial look of the watch blended perfectly with the sports car and the aviation environment. Due to the clever skeletonized case construction and the heavy milling of the case parts all remains is a light-weight sports watch. The dimensions of 44 (w) x 46 (l) mm does not correspond to the weight of the watch (which might feel funny at first), but in the end is rather comfortable. Especially when you are going to use this watch for sports purposes. The case of the SpidoLite II has this unmistakable Linde Werdelin DNA, sometimes falsely being accused of having too much AP Royal Oak and Hublot influences but we all know better. This is the shape of a modern sports watch with an integrated strap or bracelet. 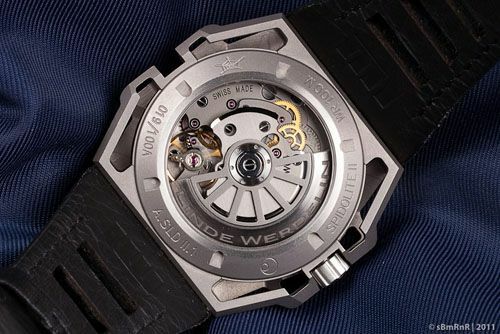 However, at this price point Linde Werdelin plays in the same league as the aforementioned watches. 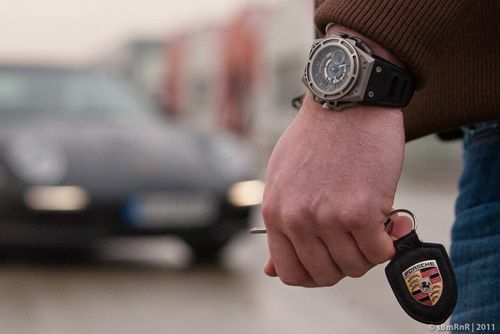 We have interviewed Jorn Werdelin a couple of times (here and here) and he let us know that he doesn’t see these brands and their watches as direct competitors of LW watches. 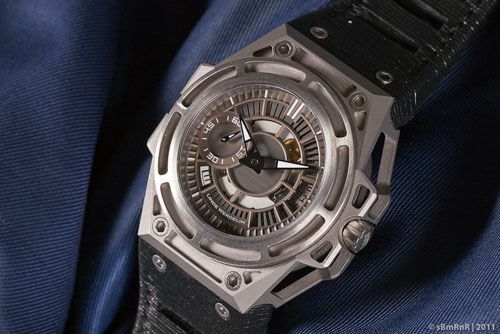 The SpidoLite II and SpidoSpeed are watches for people that probably have or have had a Royal Oak, Hublot or other iconic timepiece and are in the need for something different, something more exclusive in terms of production numbers and exclusive in the way Linde Werdelin manufacturers their cases. That’s exactly what we thought when wearing this SpidoLite II. We have and have had our share of iconic watches and we feel that this watch doesn’t replace them but is a very cool addition to them. 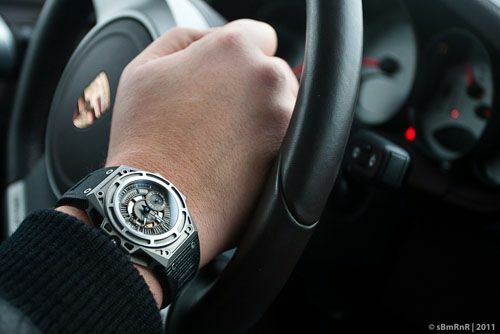 Wearing it driving the Porsche 911 or wearing it when you are out with friends, going to an exhibition or just diner… this watch suits all these activities perfectly. Due to the size, we would be a bit more reluctant wearing it when sitting (and spacing out) in your cubicle or doing other types of desk work all day. The SpidoLite II will get in your way eventually when typing or writing. On the other hand, there is nothing wrong looking at your watch sitting behind your desk. As you can see in the picture above, the 3D effect of the watch is mesmerizing and the skeleton dial makes you want to see and explore the watch over and over again. This is also valid for the back side of the watch, exposing the Valérien Jaquet Concepto Mechanical Automatic (calibre 2251) movement. 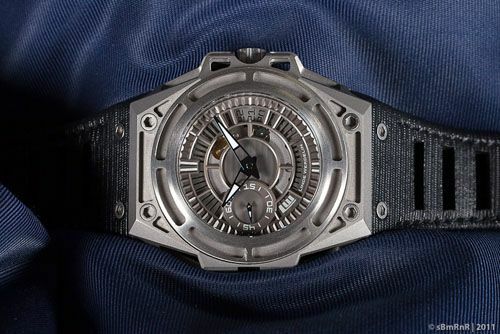 This Concepto movement has been manufactured in close cooperation with Linde Werdelin, resulting in a very nice ‘black gold’ finish on the bridges matching the oscillating weight. This rotor also has been skeletonized, just like the case and dial of the SpidoLite II. 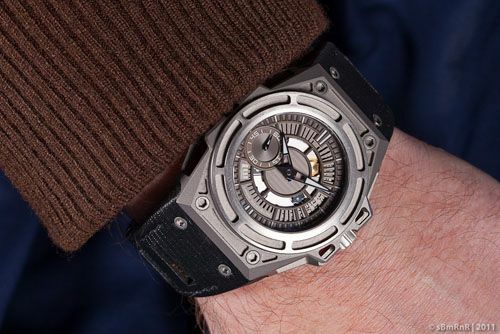 The caliber 2251 movement has a power reserve of 42 hours and a frequency of 28800 beats per hour. The case back also has some engravings, showing the production number (limited to 100 pieces in this case), name and reference of the watch and the level of water resistance (100 meters). Like all other Linde Werdelin watches, the SpidoLite II is also capable of hosting a Rock of Reef instrument. However, we found no use for either of them that day (we did that earlier with the Hard Black II) but we just want you to know that you can if you want. As you have seen in the pictures above, the watch comes on a cool (and skeletonized) textured calf skin strap that we found to be very comfortable. The SpidoLite II is also available in a titanium version with a DLC finish, also restriced to 100 pieces only. The version we reviewed lists for 9360 Euro and the DLC finished model lists for 9930 Euro. One minor issue we had with this watch (and the SpidoSpeed for that matter) is screwing down the crown. It seems that you’ll need very thin fingers to be able to do this without hurting them. To be honest, the three of us (Dennis, Bert and RJ) are not light-weights our selves, but it shouldn’t be that hard to screw the crown back on with your fingers. Perhaps LW can or will work on this in their next ‘releases’. The pros of this watch are clear to us. A sporty and exclusive watch for those who want to have something with its own DNA and that will stand-out in the crowd of Rolexes, APs, Panerai, IWC and so on. The complex case design (19 components for the SpidoLite II case) is difficult and time consuming to manufacture, which is being reflected in its price tag. A Concepto movement is not something you will see every day and we also don’t have a track record of this particular movement caliber anyway. Time will tell. 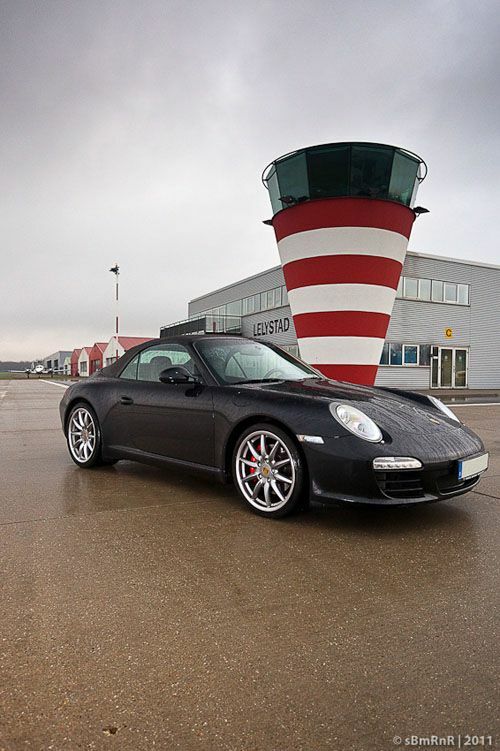 Thanks to Lelystad Airport for enabling us to take pictures on their premises. More and high resolution photos can be found at the Fratellowatches Facebook page. Make sure to Like!